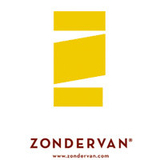 Zondervan participates in LibraryThing for Publishers. LibraryThing publishers showcase their new titles and interact with the LibraryThing community. Zondervan also participates in LibraryThing Early Reviewers.